Myopia, or nearsightedness, affects about 42% of Americans between the ages of 12 and 54. While it usually stabilizes, cases of progressive myopia are on an upward trend, raising concerns about vision health in adults. 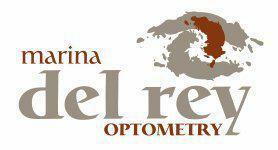 The doctors at Marina Del Rey Optometry have extensive experience working with children and adults to correct myopia. Please don’t hesitate to call the office in Marina Del Rey, California, or schedule an appointment online for a thorough eye exam. Myopia, or nearsightedness, is a type of refractive error, which means your eye doesn’t focus properly. When you have myopia, you can see close objects clearly, but distant objects appear blurry. Myopia commonly occurs when the eyeball is too long. A normal lens focuses light so that it hits a precise spot on your retina. If your eye is too long, the light rays focus at a point in front of the retina, rather than on its surface. You can also develop myopia when your cornea and/or lens are misshapen. In some cases, more than one structure may contribute to myopia. Nearsightedness usually begins in childhood. While it often stabilizes by early adulthood, it can progressively worsen throughout your child’s school years. It’s important to get annual eye exams to monitor vision changes and slow progression. Severe myopia, called high myopia, is associated with serious conditions that develop over the years, such as cataracts and glaucoma. Your doctor at Marina Del Rey Optometry may recommend eyeglasses, contact lenses, or LASIK surgery, depending on age and eye health. Eyeglasses are often prescribed to correct myopia, but if you stay in glasses, the team at Marina Del Rey Optometry makes sure you get the thinnest, most lightweight lenses possible. Some people may need bifocal or progressive addition lenses, which have different powers throughout each lens to produce clear vision at all distances. The doctors at Marina Del Rey Optometry can fit you with the latest contact lenses developed to correct myopia. Soft contact lenses can be specially designed to have different powers in various areas of the lens. These multifocal contacts successfully correct nearsightedness and ensure good vision in all fields. Orthokeratology refers to a type of treatment that gradually alters the shape of the cornea through a series of specially designed hard contact lenses. You wear the lenses for limited periods, like while you sleep, then remove them. Your myopia may temporarily improve enough that you won’t need eyeglasses or contact lenses during the day. “Ortho-K” lenses may slow the progression of myopia. LASIK surgery can correct myopia after the condition stabilizes, typically by your early 20s. LASIK uses a cold laser to gently reshape the cornea so that light focuses on the retina.